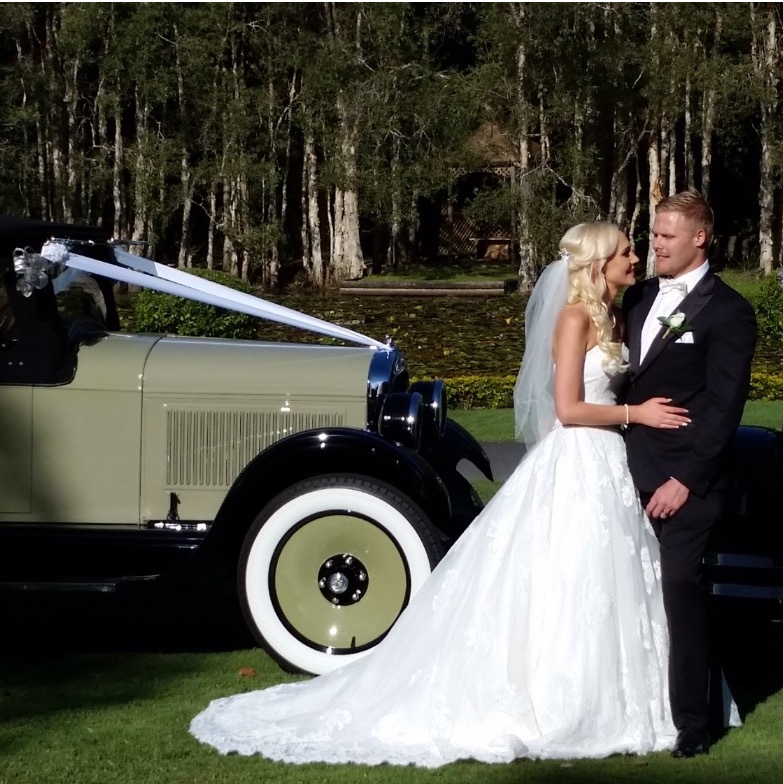 Arrive in style at your wedding or special occasion aboard your own chauffeur driven classic vintage car with Gold Coast Luxury Vintage Car Hire. We have two gorgeous,1927 Hupmobiles for hire. Both cars have been fully restored both inside and out with todays engines, gearboxes and disc brakes. The cars are the ultimate in air-conditioned luxury on the inside and classically beautiful on the outside. Whether it’s a wedding, formal, birthday or corporate event, Gold Coast Luxury Vintage Car Hire will ensure it will be a ride to remember. We service the Gold Coast, Brisbane, Mt Tamborine, Byron Bay, Tweed Heads and the South East region, seven days a week. Dear John, We would both very much like to thank you for making our wedding day incredible and for providing a personal, professional and amazing experience from the first point of contact, right through to now. Your car was out-of-this world !...a real beauty ! Everyone that celebrated with us, both on the day and after, has remarked on the beautiful car and how it encapsulated the style we wanted to create. We are even getting a huge canvas done with Miss Car as centre stage !!! As I was driven to the church by you, I felt like a princess ! As you tooted your horn as we travelled around and people smiled and waved, it felt truely magical ...I think you were having as much fun as I was 🙂 Little touches...opening the doors for me, taking my flowers as I stepped out, texts to communicate your arrival and getting to me early, made it such a warm and nurtured experience and in the absence of my Dad, the very thing I needed. You are a real gentleman, John - you sure know how to treat a lady .... just like the car !!! So, was it worth the money? hell yes! Double! Will I book you again? definitely - With bells on! Don't change John ! Keep polishing your beauty ! Can I pre-book to have you toot me again ? Inside our cars are pure Luxury. 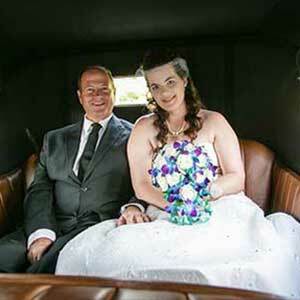 There is ample room in the rear seating, able to accommodate any style of wedding dress. Arriving in style at your school formal has never been so unique or fun with one of our chauffer driven limousines! Treat your clients to an unforgettable ride or add a touch of elegance and sophistication to your next corporate event. We supply vehicles for birthdays, anniversaries, girls nights, proposals, in fact any special occasion you can think of! Thank you John at Gold Coast Luxury Vintage Car Hire. The service we received on the day was incredible. John and his team go above and beyond to help your day go smoothly. The ride was just special to have that alone time with my dad which i will hold very close to my heart. 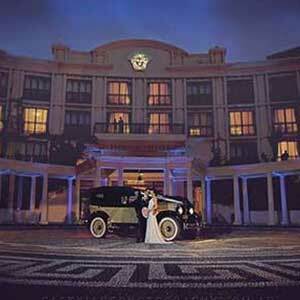 I would recommend everyone to use these classic vintage cars for their big day! Thank-you John and the team, your professionalism on the day we first met at the wedding expo right through to the day of the wedding was exceptional. We thank-you for your patience in making our day one we will remember forever. our cars are amazing and worked with our theme perfectly. 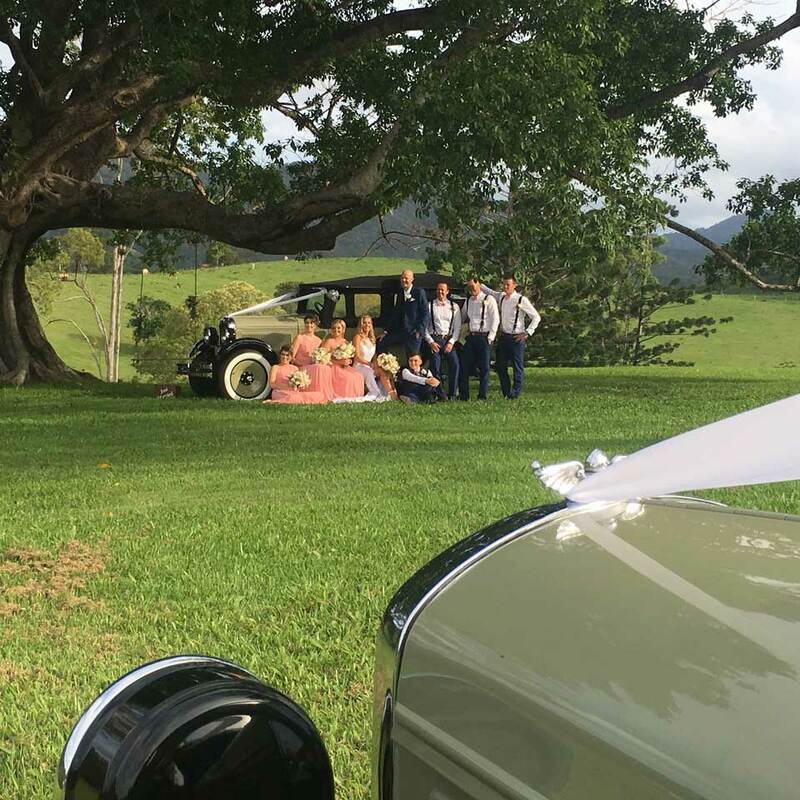 Gold Coast Luxury Vintage Car Hire made our formal night even more amazing. The car is really nice and looks fantastic, everyone was talking about our car and how different it was to everyone else’s and that it really did stand out. It was so much fun driving to the venue and the car is very comfortable with air conditioning. The service was very great and they were on time. Would definitely use them again in the future even for a wedding. Thank you so much!! Thank you so much for assisting us on our big day. The car was immaculate and the service your provided was absolutely fantastic. 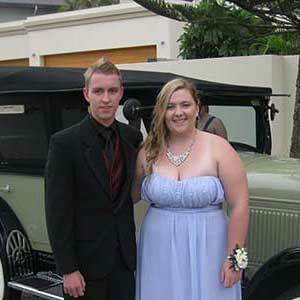 We definitely would not hesitate in recommending Gold Coast Luxury Vintage Car Hire to all our friends and family. The guys at Gold Coast Luxury Vintage Car Hire were great – I had never seen the cars in person, but one phone call to John, and I had booked the date. He was wonderful to talk to, and he went that extra little bit to make my experience on the day something spectacular. During the photo-shoot with the cars, John and his second driver looked after us so well. My bridesmaids were distracted elsewhere, and here John was, fluffing out my dress, holding my bouquet, and even straightening my hairdo!